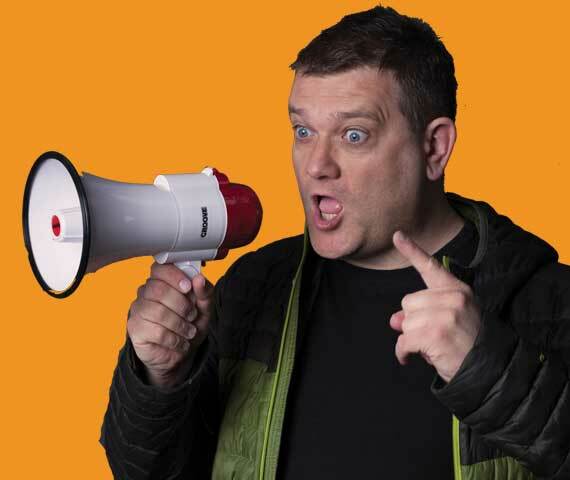 Join Geordie comedy legend and host Gavin Webster at Washington’s newest (and best) comedy club! From his first gig in the early 90s he, along with Ross Noble was one of the first post modern alternative North East comedians. With shows notched up around the world, many TV stand up appearances, film credits and a regular on BBC Radio 4s ‘Show What You Wrote’, he defines a North East style that has been an influence on a generation. John Scott started stand-up in 1999 at the Stand comedy club in the Edinburgh, in 2010 he won £12,000 -– the biggest prize in comedy – in the Take The Mic competition for Scottish comedians.